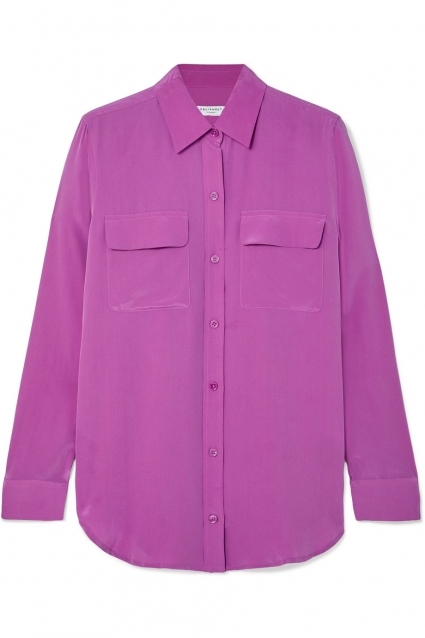 You might already have a handful of Equipment's slim signature shirts in your wardrobe already, but there's no harm in adding more - especially when the label drops new colors, like this vivid violet shade. It's cut from lightweight washed-silk and decorated with pearlescent buttons. The curved hem looks just as chic left loose as it does tucked into the waistband of smart wide leg trousers.